Dunderdon gives you 10% off fall/winter apparel at their shopping party tonight. 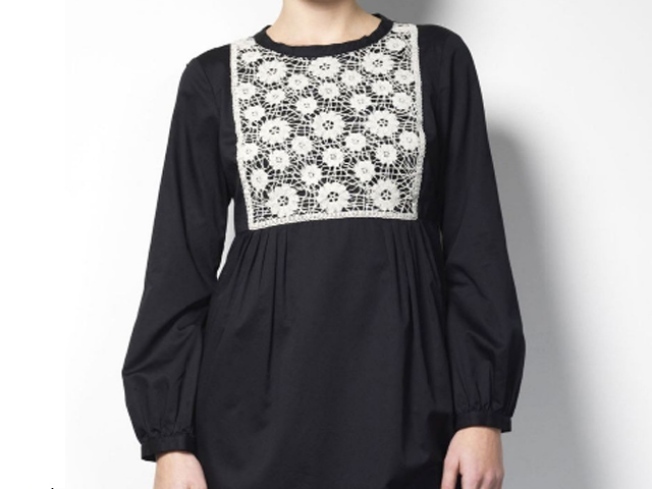 DRINKS, DEALS: Today only, score 10% off all cold-weather merch (like the LD23 Cass Cotton Poplin bib dress here) in-store chez Dunderdon, the utilitarian, workhorse brand that proves Sweden’s not all flat-packed furniture and frilly cheapo runway-to-knockoff superstores. The boutique’s holiday shopping party runs 5-8PM. 25 Howard Street; 212-226-4040. SPOONING: People, it’s not often we make a big fuss over yogurt. But allow us to sing the praises of these Lowell European-Style yogurts we just got our hands on: These all-natural probiotic puppies combine Wisconsin milk and fresh fruit, and we can say that the name doesn’t lie: they do absolutely taste closer to something from the dairy aisle at a French supermarket than the joyless goo that often passes for yogurt these days. They come in raspberry, peach, you name it; and in whole milk, nonfat and multi-grain versions, and the latter is our favorite. Fairway started carrying them this month, and they run about $1.50 for a 6 oz. cup. Find your location here. OVER ICE: Baileys Original Irish Cream has teamed up with Clothes Off Our Back, the national non-profit that auctions celebrity goods and funnels proceeds to fight hunger and more around the world, and a slew of designers to create the Baileys Holiday Shoe Collection, one-of-a-kind footwear (like this Farylrobin heel) inspired by the boozy treat. They’ve also opened a holiday pop-up shop (co-hosted by Patricia Field) running through November 13, where you can snap up shoes – all slashed from as high as $1,200 a pair to (wait for it) $75 -- from the likes of Casadei, Sergio Rossi, and L.A.M.B. 421 West Broadway.